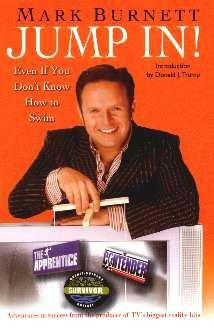 Mark Burnett is living proof of doing what you set out to do and accomplishing it through sheer grit and determination. From humble beginnings in London, a substantial stint with the British Army Paratroopers, he landed up in Los Angeles in search of a new job. His first job was as a nanny and then he sold t-shirts on Venice Beach. Convinced this was not his true calling and that there was more to his American Dream, he put together a team and entered a French adventure race/competition called Raid Gauloises in Oman. He then decided to put together his own race for television and called it Eco-Challenge. Getting firsthand experience was important to Burnett and he entered the second Raid race, held in Madagascar. He had the audacity to approach television stations to cover his races, discuss sponsorships, and he subsequently profited from both, without having any experience. He was developing unknown territory and skills that he'd need in the future. Not only did he go on to put together the phenomenally successful Survivor reality TV series, but also The Apprentice with none other than the mighty Donald Trump at the helm, and next, The Contender with Sylvester Stallone and Sugar Ray Leonard as figureheads. Burnett's amazing achievements are all due to his incredible belief in his gut feeling, his determination, his inventiveness, and his willingness to take risks. His next challenge is Martha Stewart! I am a huge fan of Survivor, and now The Apprentice, so it goes without saying that Burnett is my kinda man. Conclusion - Very interesting and a great lesson for all who are chasing their dreams.